As a result, by the end of ten-year scoring window, this provision to reduce the Medicaid match rate would differ little from simply eliminating the enhanced match rate entirely. There is also a real risk that the very large reduction in subsidies in high-cost areas would threaten the stability of the individual market in these areas. 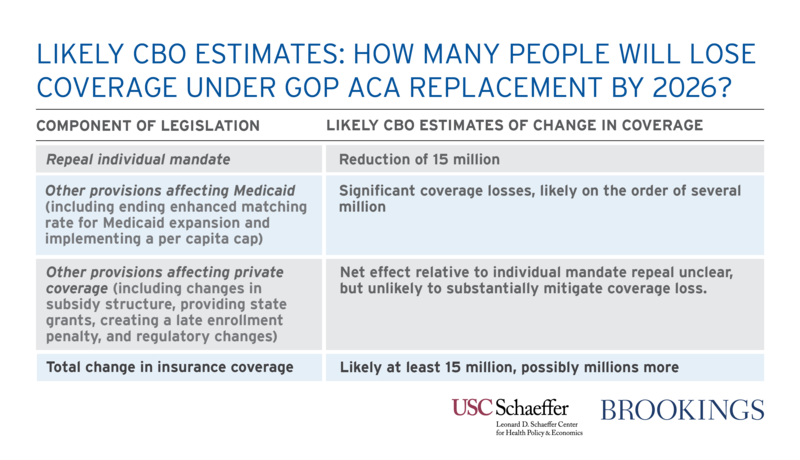 The precise coverage impacts of the legislation’s changes to the structure of individual market subsidies are uncertain, but our view is that the CBO will most likely conclude that these provisions result in a reduction in individual market coverage that adds to the coverage losses caused by repeal of the individual mandate.